After suffering a shoulder injury in 2006 and being unable to play, former Metallica bassist Jason Newsteddecided to put down his bass and pick up a brush. Jason Newsted has announced that he and his new band, Newsted, will release their debut album on August 6. The disc, titled Heavy Metal Music, follows the Metal EP, which came out earlier this year. 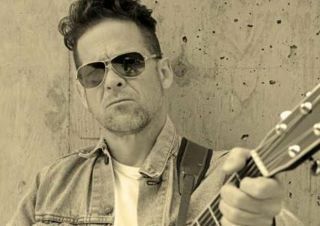 Former Metallica bassist Jason Newsted has announced — by way of a handwritten note circulated to media outlets — a January 8 release date for the debut EP from his new project, Newsted. The guest lineups for Metallica's first two 30th anniversary shows should have many of us slapping our foreheads for not being a member of Met Club and not being in San Francisco right now. A film crew was on hand at Papa Wheelie's recent show in Walnut Creek, California to record the concert for a possible future release.